Warcraft Patch 1.23b | Warcraft 1.23b Patch - Custom Map Virus Fix. After waiting for several weeks, Blizzard announce a new patch to prevent Warcraft Custom Map Virus. IceFrog said before on his blog, that there will be Warcraft 1.24 Patch to address this issue. But based on Blizzard forums, it will be Warcraft 1.23b Patch instead. On his post, Karune (Blizzard Admin) said that they now created a Public Test Realm on Westfall to test the new patch with the popular custom maps (well, i guess we know which map he is refering to). 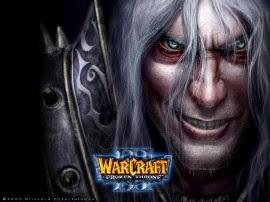 Following our temporary fix to address the recently identified Warcraft III exploit, we have begun preparations to implement a permanent resolution of the issue on Battle.net. As a consequence of this fix (which prevents the possibility of malicious software being spread through Warcraft III maps), we do anticipate that some functionality in current maps will need to be adjusted before it will work properly. Before deploying the fix, we’ll be working closely with the makers of some of the most popular maps to ensure that their maps continue to stay playable on Battle.net with little to no interruption. In the meantime, we’ll be hosting a Public Test Realm (PTR) for map makers to test their maps beginning on June 9th, 2009. We will also be hosting online guides to help map makers make the transition into the new patch during this process. Throughout this process we’ll keep everyone posted on any updates leading up to the release of the patch. Well, i guess most people seem don't care too much about this and busy trying new stuff on Dota-Allstars 6.60 right ^^? The return bug has been fixed in this patch, which means that no map that uses the return bug will work in 1.23b/1.24. That will affect about 95% of the maps that are worth playing - including DotA. Anyways, once DotA is compatible with the new patch we will experience some significant performance-improvements, since the new hashtables are way faster and saver than the currently used gamecache. But remember: you will have to deal with the fact that no 'older' Version of DotA will run on 1.23b or higher, nor any of the 1.23b+ compatible maps will run on lower versions of warcraft. 4. can i have a link to your source for your last statement?